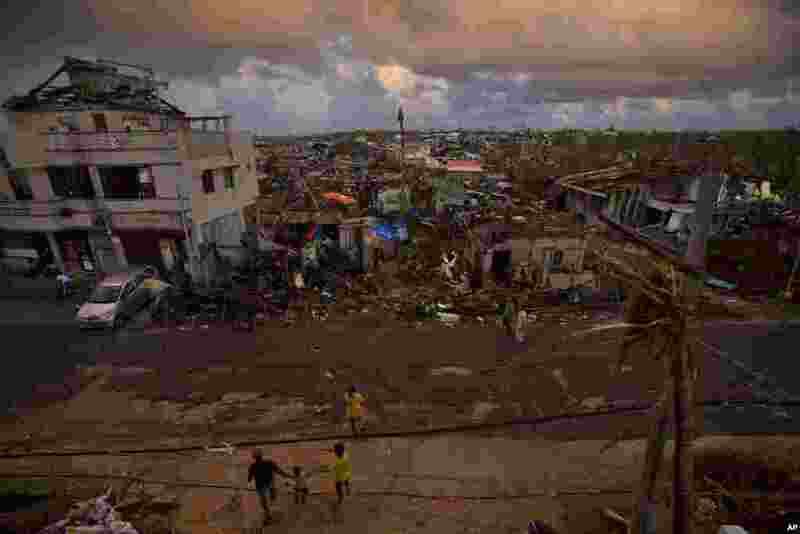 1 Typhoon Haiyan survivors walk along a road in the destroyed port in the town of Guiuan, Philippines, Nov. 15, 2013. 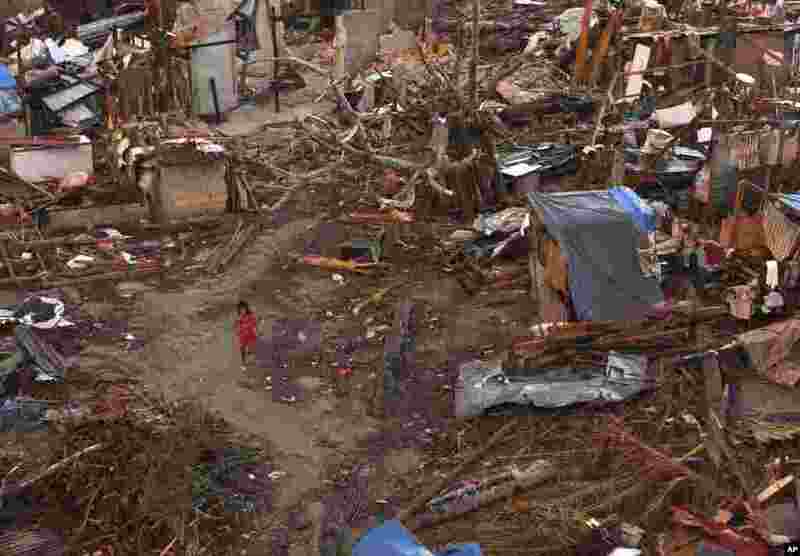 2 A young girl walks amid ruins of houses in a neighborhood badly affected by Typhoon Haiyan in Guiuan, Philippines, Nov. 15, 2013. 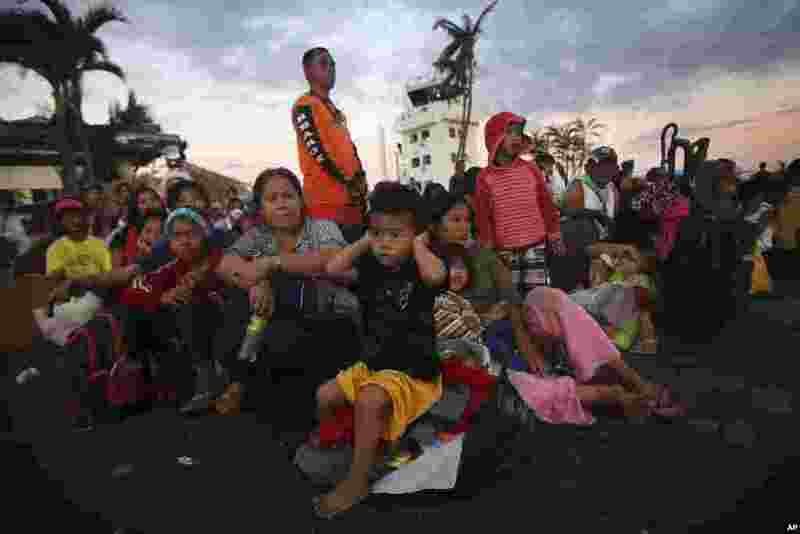 3 A young boy, a survivor of Typhoon Haiyan covers his ears as military C-130 aircraft land at the airport in Tacloban, central Philippines, Nov. 15, 2013. 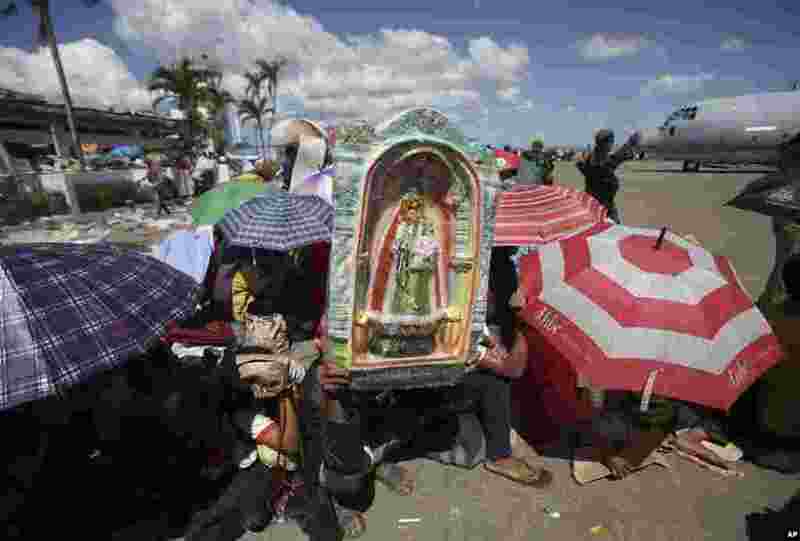 4 Typhoon survivor Rodrigo Villajos uses a figure of the Our Lady of Manaoag to shield him from the heat of the sun as he waits with others for the next military plane flight to Manila at Tacloban airport, Nov. 15, 2013.